Why not hire a metal worker to create a unique piece? A hedge interspersed with concrete pillars. Roots on the concrete block fence/wall. Yes! Another hedge to showcase the house number. A fence with a patterned plant. If you have to have a garage as your house frontage, this will do. Nice colored frontage for a house on a busy street. Use of simply patterned concrete with a bit of glass. I love this wall. More root creatively growing on a front wall. Frontage that is creative – rocks encased in metal netting. 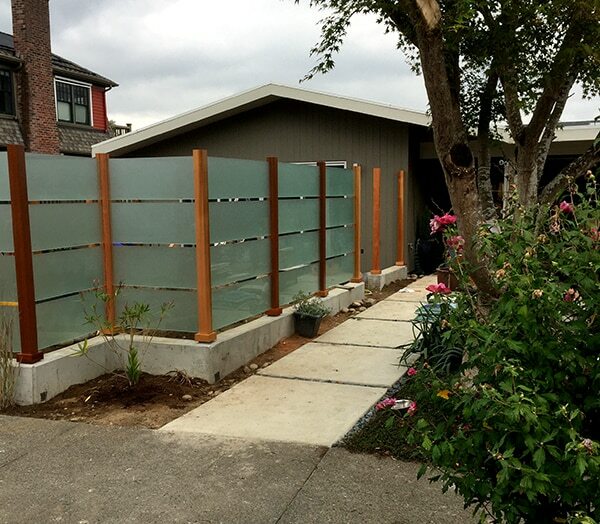 A wood fence that pulls back to allow a car to the driveway. 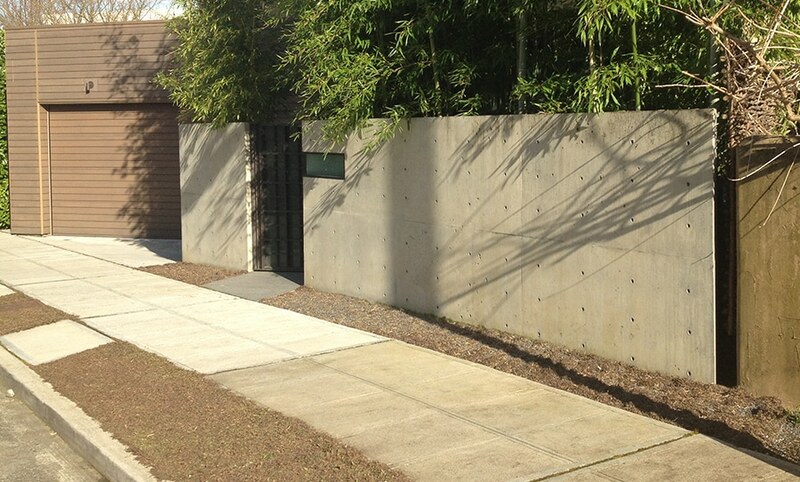 Cement wall in front of the house. Very modern!